Oregon’s fall camp opens Monday as it bids to capture a fourth-straight Pac-12 title and set itself up for a trip to the BCS National Championship Game. On paper at least, the outlook looks promising. 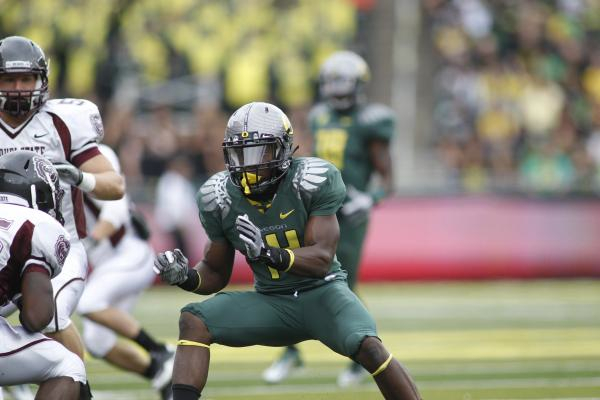 The Ducks are deep on both sides of the ball, feature playmakers like De’Anthony Thomas, Kenjon Barner, Dion Jordan, John Boyett and Kiko Alonso, and enjoy a favorable schedule. Earlier this week, Oregon received a No. 5 ranking in the USA Today coaches preseason poll. But the college football season is a long one and any number of things can throw a kink into a team’s path and chemistry. Injuries at QB: Bryan Bennett and Marcus Mariota provide the Ducks with two talented yet inexperienced QBs. Given Chip Kelly’s penchant for squeezing high-level performances from the position, however, expect Bennett and/or Mariota to be solid, if not spectacular at times. The early- and mid-season schedule — most in the media expect Oregon to win its first eight games — should allow Kelly to bring his QBs along at a measured pace. But injuries happen in the spread option offense, and if both go down at some point, the Ducks will be in trouble. The fallout likely won’t be as disastrous as the 2007 season, but Jake Rodrigues (true freshman), Jeff Lockie (true freshman) and Dustin Haines (former walk-on) don’t appear to be top-shelf Pac-12 QBs at this point in their careers. Second-year jinx: Last preseason, the defensive secondary was loaded with young athletes — namely Terrance Mitchell, Ifo Ekpre-Olomu and Troy Hill. Mitchell started against LSU in the opener and when Cliff Harris (dismissal) and Anthony Gildon (injury) created openings, Ekpre-Olomu and Hill made the most of it. By the time the Rose Bowl rolled around, those guys were it, and they performed admirably against Wisconsin’s Russell Wilson. Now, with a season under their belt, the youngsters (along with veteran safety Boyett) are viewed by some as one of Oregon’s strengths. Still, there is a nagging question as to whether the now-sophomores will upgrade their play, or take a step back as second-year players sometimes do. Colt Lyeria runs for yardage against Oregon State last season. Tight-end troubles: Coming out of Hillsboro High School, Colt Lyeria was one of the nation’s top recruits. As a true freshman last year, he showed signs of brilliance and athleticism (five TDs on just seven catches) as well as inconsistency. With David Paulson off to the NFL, Colt is now the man. Those close to the team marvel at his potential, including matchup problems his size and speed can pose for defenses. But the Duck offense also is predicated around a tight end who can block at the line, block down field, and catch balls in traffic — and all within a complicated scheme — and Lyeria has yet to show he can be a sustained contributor. If Lyeria falters or gets dinged up, or if the Ducks go with a two tight-end alignment, Oregon will be faced with throwing Evan Baylis (true freshman), Pharaoh Brown (true freshman), Brian Teague, Jennings Stewart or Koa Ka’ai into the game. With the exception of perhaps Teague, all carry the ‘inexperienced’ tag. Leadership lag: College football can be a fickle business. You can stockpile all the talent you want, but if a team isn’t functioning well and together, the ride can be bumpy. Likewise, a team can overcome talent deficiencies by becoming one. Think back to Oregon’s 1994-95 Rose Bowl team. The athleticism was not top rung that season but the work ethic, drive and cohesion was exceptional. There has been plenty of indications this off-season that leaders have emerged — Michael Clay, Kenjon Barner, Carson York, Kiko Alonso, John Boyett, among them. But the team seemingly has yet to face its first crisis — on or off the field. Neither do we know what goes on behind closed doors — as in the locker room — and whether any divisive issues linger or will pop up. 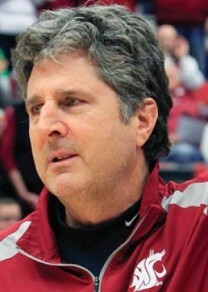 The Ducks will need to guard against complacency against the likes of Mike Leach and the Washington State Cougars. Over-confidence: The Ducks have arrived nationally. A Top 5 preseason ranking a few years ago would have generated elation from Oregon fans and cynicism from opposing camps. Now, it’s recognized as almost commonplace. Oregon opens with four straight home games — Arkansas State, Fresno State, Tennessee Tech and Arizona (Pac-12 opener). The Ducks then go on the “road” to play Washington State in Seattle for Game No. 5, then entertain Washington a week later, followed by a game at Arizona State and then home for Colorado. They will be heavily favored in all of these first eight contests, and if they remain unbeaten, the Ducks will surely remain in the Top 5 national rankings week to week. Much of Kelly’s coaching philosophy is centered around living in the moment and focusing on the task at hand. Given the opposition, that “Win the Day” mantra will be tested those first two months of the season.